Pack your bags for Uganda! 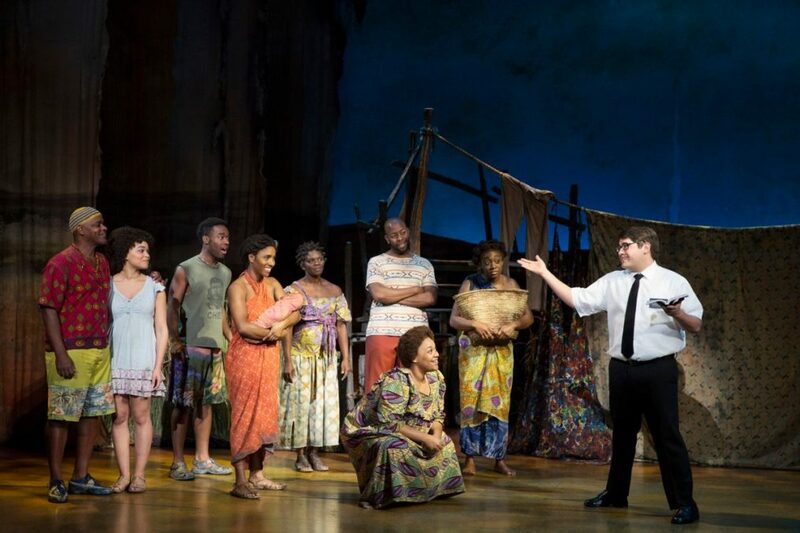 Tickets are now on sale for the national tour of The Book of Mormon in Boston. The Tony Award-winning musical will open on August 14 at the Boston Opera House and run through August 26, 2018. Written by South Park creators Trey Parker and Matt Stone and Avenue Q and Frozen co-creator Robert Lopez, The Book of Mormon follows two young Mormon missionaries sent to Uganada, who soon discover their training did not quite prepare them for the world outside of Salt Lake City. The Broadway production opened in March 2011 and went on to win nine Tonys, including Best Musical, Best Score, and Best Director. The original Broadway cast recording took home a Grammy Award in 2012 for Best Musical Theater Album. The cast features Kevin Clay as Elder Price, Conner Peirson as Elder Cunningham, Kayla Pecchioni as Nabulungi, PJ Adzima as Elder McKinley and Sterling Jarvis as Mafala Hatimbi.